This beautiful charm pendant by Nikki Lissoni is Rose Gold Plated. 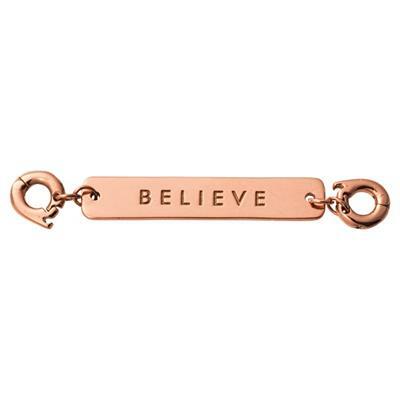 Engraved with the word 'BELIEVE' this charm pendant reminds of the importance of self-belief. Wear with an Interchangeable Nikki Lissoni Chain to create a necklace.